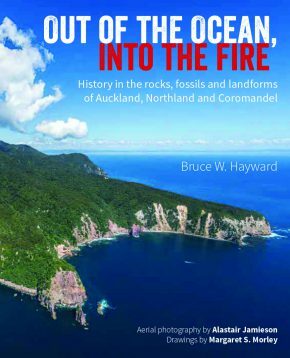 Out of the Ocean, Into the Fire describes the history in the rocks, fossils and landforms of Auckland, Northland and Coromandel. Bruce Hayward, semi-retired research geologist, palaeontologist and marine ecologist, wrote the text and designed and laid out this impressive full-colour book. He called on PressGang to create a cover and handle printing.